Find Your Fit! is a provincial physical activity promotions/communications campaign designed to get individuals motivated and moving towards healthy, active living. The Find Your Fit! website is an excellent resource for physical activity throughout the lifespan. The Himalayas are one of the youngest mountain ranges in the world. It’s good to have a hat when walking as it shields your face and head from the sun and thus can keep you cooler (which usually translates into being able to longer distances). Background Information: Explain to the student that when climbing mountains there is a chance that an avalanche could happen. Knowing how to stay safe if you find yourself caught in an avalanche is important for climbers. To increase you chance of being rescued they say to reach your limbs or something else long (like a ski pole, etc) up through the snow to increase your chances of being found. Instructions: Choose 2-4 students to be ‘it’ and they will wear the pinnies, they will be avalanches. They must try to tag the other students in the designated playing area. If they tag someone they must lie on their back as if they got caught in an avalanche, putting hands and feet in the air to increase the chance of being rescued. If a student who is not ‘it’ tags them they are rescued and can continue to play. You can change taggers periodically. 4-5 sets (depending on the number of groups) of letters that will spell out EVEREST, which has the answer to each question on the corresponding letter. 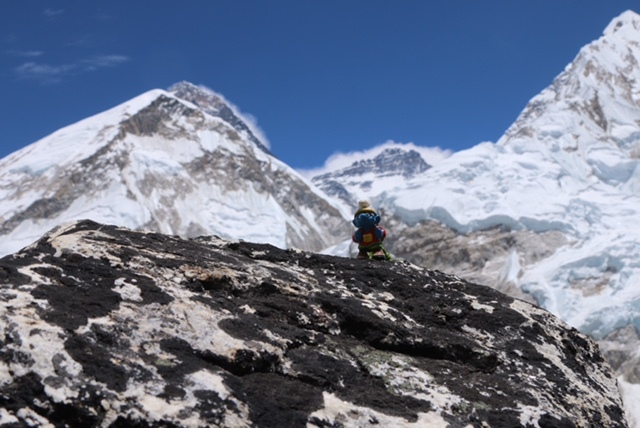 Background Information: This activity will test the student’s basic knowledge of Mount Everest that they may have learned over the last 7 weeks. Each letter has the answer to one of the questions and the objective of this activity if for each team to answer all the questions and spell out Everest. The team must work together to answer each question and if they need help after thinking about it first they can ask the teacher for help. View appendix M.
Set up: Scatter all sets of letter to spell out EVEREST throughout the gym or playing area. Instructions: Divide the student into 4-5 groups and give each team a list of questions. For each question the students will find the answer in the playing area with a letter on it. The goal is to spell Everest by getting all the questions correct. Each team must try to answer the question then go out to find the answer and the corresponding letter on it. Note: Depending on the class you can make a rule that they must answer the questions in order and it has to be checked to make sure it is correct before they can move on. Mount Everest is ________ meters high? It takes about ____ days to climb Mount Everest? _________ was the first female to climb Mount Everest? 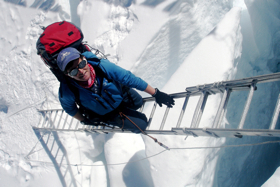 _________ climb Mount Everest as a job for climbing expertise and to help support their families? Mount Everest is located on this continent? Mount Everest grows about ____ inches per year? Mount Everest is the _______ of the seven summits? I have a few pics attached!